The Priory Group is a provider of mental health care facilities in the United Kingdom. The group operates at more than 500 sites with over 7,000 beds. 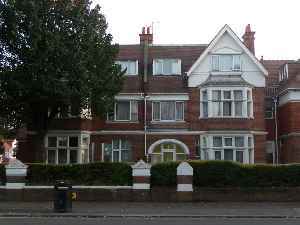 Its flagship hospital is the Priory Hospital, Roehampton, which is best known for treating celebrities particularly for drug addiction. The Priory Group also manages schools, some for students with autism spectrum disorders through Priory Education and Children’s Services. In January 2019 it opened its first overseas school in partnership with the Abu Dhabi Department of Education and Knowledge. The Priory hospital group has been fined £300,000 for breaching health and safety law after 14-year-old Amy El-Keria died in its care.